John D. McKenna & Co. Limited, a boutique business advisory firm, specialises in the areas of deal project management, corporate restructuring and project finance in the SME sector. The company has project managed deals in the property, retail, healthcare, professional services, insurance and waste to energy areas sourcing private investors and bank debt funding to help grow SMEs and owner managed businesses. Whether you want to buy or sell all or part of a business, put together a management buy-out, raise finance for a new project, or you have a business that is experiencing financial difficulties, we can provide a solution. Unlike many other firms, we do not provide audit or taxation services, which allows us to focus on providing objective advice, without the threat of any conflicts of interest. John is the principal at John D. McKenna & Co. Limited which he founded in 2013. For the previous ten years John has held various roles as chief financial officer within owner managed companies in industry predominantly in the property and healthcare space. Roles fundamentally involved streamlining and managing the finance functions, however a significant amount of time was concentrated on acquisition opportunities, completing due diligences, compiling business plans, sourcing appropriate finance and ensuring all deals were completed successfully. This timeframe also involved completing an investment property portfolio refinancing by issuing bonds in a commercial mortgage backed securitisation in which 14 London based investment funds invested. Together with Merrill Lynch and Rothschild as joint book-runners, John co-ordinated the roadshow, the negotiation with the legal counsel, the hedging, the financial covenants and the final coupon payable. It also entailed compiling a five year business plan for a large property group and presenting this to the National Asset Management Agency (NAMA). 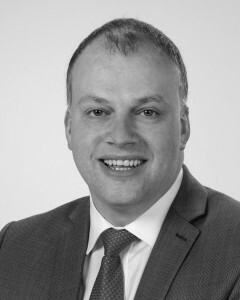 John is a qualified chartered accountant since 1999, having trained at Brenson Lawlor and KPMG, and completed a Bachelor of Commerce degree in University College Dublin. More recently in 2012, he completed a post graduate diploma in Sustainable Energy Finance at Dublin City University. John is a member of The Institute of Directors, the Business Angel Partnership and is a registered advisor with Family Business Ireland .